Spins can only be used on Starburst. Spins are worth £0.10 each spin. Spins are automatically received after the deposit is made and played through, on selected games. From the moment their home page loads up, it’s clear to see that Mr Smith Casino is not anything like other casinos on the market. It combines the most recognisable aspects of classic British culture with a modern and sleek design fitting of an online casino. Focused primarily on its players in the United Kingdom, Mr Smith Casino offers a thrilling and memorable gaming experience. Read our Mr Smith online casino review and find out why this up-and-coming casino is quickly becoming a go-to gaming destination for many UK players. The flexibility of the Mr Smith Casino welcome bonus allows players to tailor their own experience and play in line with their skills and budget. Moreover, all three offers come free of any wagering requirements. This means that all wins are automatically paid out in cash. Play through the deposited money, after which the free spins will be automatically added. Apart from the interesting welcome offer, Mr Smith Casino presents its players with a variety of bonuses should they decide to continue playing with the casino. Almost every day of the week, there are exclusive bonuses offering players free spins or extra cash every time they make a deposit. In addition to this, live casino players can also look forward to occasional deals centered around cashback bonuses and free money. Mr Smith offers its members a solid collection of casino games. However, in all honesty, it is a bit smaller compared to some other online casinos. But, what the casino lacks in quantity, they more than make up in quality, as all of their games come from industry leading software companies like Microgaming, NetEnt, Evolution Gaming and Play’n Go. Mr Smith Casino has a vast collection of progressive jackpots players can choose from. Their most popular progressive jackpot games include the likes of Mega Fortune, Mega Fortune Dreams and Mega Moolah. Besides these player-favorites, Mr Smith also has some other big jackpot games that don’t have the Mega prefix in their name, like Treasure Island, Divine Fortune and Hall of Gods, which also offer huge jackpots that go into the millions. While there are no exclusive VIP rewards mentioned anywhere on the Mr Smith Casino website, we did manage to dig up some information from their support and parent company. Mr Smith Casino tailored promotions and exclusive casino services for their most loyal members. With that being said, the fact that there isn't any information anywhere to be found, suggests that the casino aims to keep their VIP program as secret as possible. Becoming a member of their VIP program seems to be the only way players can learn more about this exclusive club. Such business model adds a lot of exclusivity to the entire program, though it may turn off some players who don’t appreciate the casino keeping absolutely everything regarding it a secret. All of the live casino games offered in the Mr Smith live casino library are provided by NetEnt and Evolution gaming, which have several live broadcast studios located all over Europe. Their live casino platform doesn’t require any additional downloads in order to run and works perfectly even on mobile and tablet devices. The Mr Smith live casino experience offers a near authentic feel of a real land-based casino and is completed by HD cameras and professional dealers. The games available in their live casino include several variations of roulette, blackjack and baccarat. The most popular games are Live Roulette HD, Live Blackjack and Baccarat Squeeze, while other exciting and interesting game variations include titles such as the popular Ultimate Texas Hold ‘Em. Mr Smith Casino offers a fantastic set of payment methods, including credit cards, e-wallets and bank transfer options. Since Mr Smith is primarily oriented towards its UK customer base, Mr Smith online casino accepts PayPal. Also, UK players who like to use the bank transfer options are free to choose from over a dozen instant banking options. All transactions are completely free of any additional charge, whether depositing or withdrawing money from the casino. The minimum deposit at Mr Smith Casino is £10 for all methods, except bank transfers, which has a minimum deposit limit of £15 per transaction. Deposits are processed instantly, while withdrawals may take up to 5 days depending on the payment method. There is an additional pending period for withdrawals, which may take up to 24 hours since the casino manually approves all withdrawals. 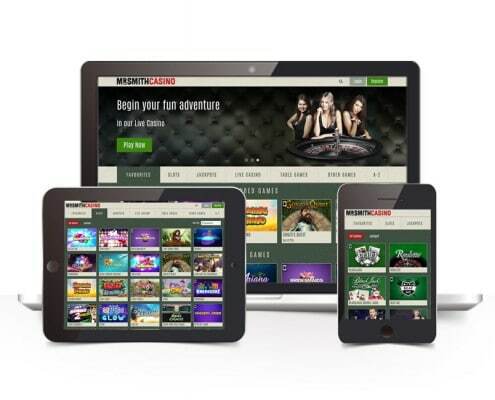 Mr Smith mobile offers a more than satisfactory mobile gambling experience. With a large number of games, including progressive jackpots and maybe, more importantly, live casino games. The mobile website is excellently done and offers a really responsive platform that’s enjoyable to play on. As far as the mobile features and offers go, the Mr Smith mobile casino also has all of the regular bonuses, and occasionally even exclusive mobile deals. Users can check all of this simply by typing the Mr Smith address from any mobile browser. Furthermore, Mr Smith Casino members can download the iOS or Android apps for better compatibility. Their mobile website offers pretty much the same experience as their desktop platform, but players who choose to go with the app can find some differences, mainly within the options offered and the available software products. Mr Smith Casino support is available 24 hours a day, 7 days a week. They offer phone support through request a call back service, email support and live chat support. Live chat is the best way to go, as their staff typically responds within 30 seconds, while the other two support options have a response time between 30 minutes and one hour. We’ve contacted their live chat service a couple of times and were very pleased with their level of skill and professionalism. Players who also need help at the casino, can browse through the well-equipped FAQ section. Divided into separate categories and perfectly utilizing the search bar function, the Mr Smith FAQ section offers comprehensive help on any casino-related issue. Overall, their customer support is one of the casinos biggest strengths and it really shows that Mr Smith does put a lot of effort into ensuring customer satisfaction. Is Mr Smith Casino Safe? Mr Smith Casino was launched in 2014, as a part of the widely popular and well-established Betsson Group from Sweden. They are also fully licensed and regulated by the UK Gambling Commission and the Malta Gaming Authority. Mr Smith Casino software is tested by two independent organisations. The National Laboratory for Forensic Science in Sweden and Technical Systems Testing from Canada. This is to ensure all of their software and games operates as it should. That is, both fair and random at all times. Mr Smith Casino promotes responsible gaming and has a separate responsible gaming page which serves to educate players on the dangers of gambling addiction. 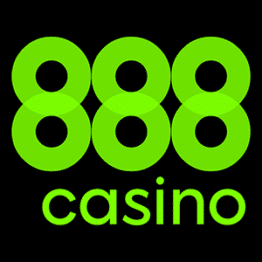 Their casino support is always on hand to provide necessary advice and support. It even helps players set personal daily and weekly limits, take breaks during playing or use self-exclusion methods to help users take a break from gambling. Their responsible gaming policy, alongside all of their licences and certificates, prove that Mr Smith Casino is a trustworthy and safe casino to play in. To sum up this Mr Smith online casino review, Mr Smith offers a relatively slim collection of games compared to its competition. But one that puts a value on quality over quantity. If you will like to become a part of an online casino that offers high-quality games, excellent mobile gaming and a very easy-to-use platform. Mr Smith is the perfect place for you. Almost all of the games are available across all of the Mr Smith platforms. This allows convenient and enjoyable gambling, and is a feature not many online casinos have. But, games aren’t the only aspect that makes this casino worthwhile. Banking, support and bonuses all perfectly depict the quality Mr Smith Casino stands for. We can confidently say that Mr Smith is THE casino for all UK players. If you like what Mr Smith Casino has to offer, sign up and become a part of one of the best online casinos in the UK. Does Mr Smith Casino have a welcome bonus? Mr Smith Casino currently offers a cash spins welcome offer to all of their new customers. But, this isn't an ordinary offer, as it comes in three different shapes, valued between £25 and £200. Depending on how much the player decides to deposit, he will get a certain amount of wager-free cash spins he can play through on Starburst. How can I claim the Mr Smith Casino free spins bonus? Players registering from the UK can claim the Mr Smith Casino bonus in just a few steps. All they need to do is deposit the required amount for one of their three offered bonuses. Then play through the deposit on either Starburst, Moonshine Riches, Jumanji, Book of Dead or Bonanza. Does Mr Smith Casino accept PayPal? Yes, Mr Smith Casino accepts PayPal. This option is currently only available to players who are in the UK or Ireland. Customers can use PayPal to make quick and safe transactions, as it’s currently the most popular payment method in online casinos. Mr Smith Casino has set a minimum deposit amount at £10, while the minimum withdrawal amount is set at £20 for all PayPal transactions.